Kylian Mbappe and Valere Germain bracketed the halftime whistle with last-minute/first-minute goals, but Angel Di Maria’s second-half brace proved the difference as Paris Saint-Germain topped Marseille 3-1 to restore its 20-point Ligue 1 lead and leave the visitors exposed in the Champions League race. 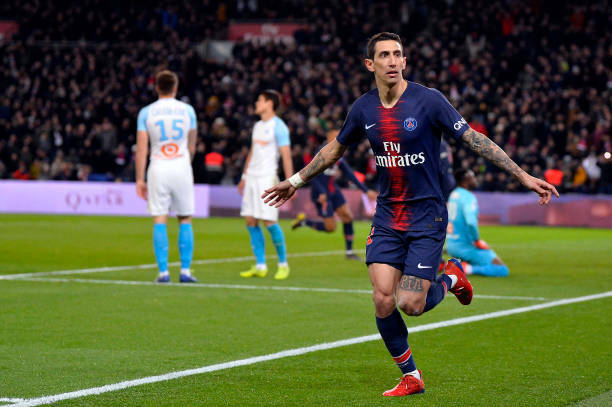 Marseille came into the match in good form, unbeaten in its last six matches with five wins in that span, but they were no match for Di Maria who had a hand in all three goals. 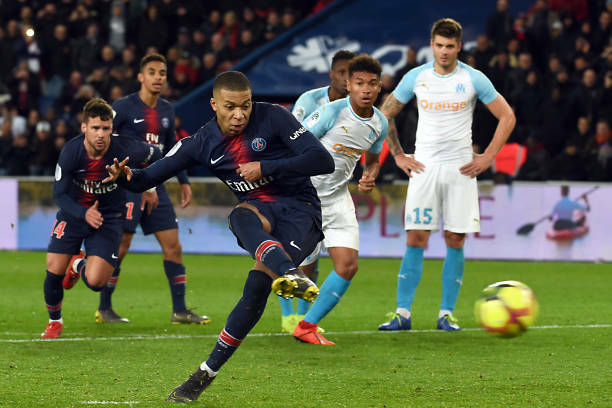 Mbappe opened the scoring at Parc de Princes in first-half stoppage time with a clinical fastbreak, finishing off a feed from Di Maria that pushed the Frenchman to the left, but no matter as he calmly slotted the ball inside the far post to break the deadlock. The visitors earned a lucky equalizer just 24 seconds after the break as Valere Germain picked up the goal, with both his strike and Lucas Ocampos’s assist were deflected before reaching its destination. From there, Di Maria took over for his first multi-goal game of the season. His first came in the 55th minute via a mistake at the back from Hiroki Sakai who stepped to a ball and allowed Di Maria to get free down the right, and he produced a low finish from a very tight angle to put PSG in front. 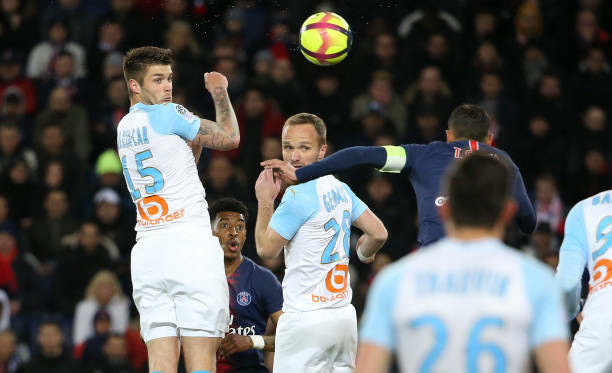 From there, Marseille fell a man down as goalkeeper Steve Mandanda came nearly 40 yards out of his net to challenge Di Maria on a breakaway, and in his sliding challenge, the ball struck his outstretched hand, leaving the referee no choice but to send him off. Just three minutes later, Di Maria put the game away with an unbelievable free-kick from at least 25 yards that found the top-right corner. The performance moves Di Maria to nine goals and 10 assists for the season, leaving him one goal away from a season double-double that only Eden Hazard and Lionel Messi have achieved among the top five European leagues.